It's been pretty steamy in Camden this summer, but our camps are staying cool as best they can. A water balloon fight between Camp Spirit kids and staff broke out in front of CamdenForward School yesterday in an attempt to minimize the heat. UrbanPromise's much-loved furry friend, named Mr. Groundhog by the development team, visited our office today. Much excitement ensued as he ran around our development office and frightened a few of our staff members. For footage of Mr. Groundhog's unexpected visit, go to http://youtu.be/ffL_bd6mkoA. Show your support of UrbanPromise's newest development team member and click here to make a donation! 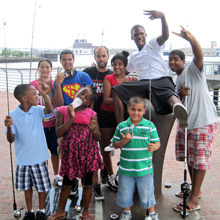 It's not the average excursion for your inner-city summer camp but nearly everyday Camp Freedom director Tony Vega has been taking his kids fishing on the Delaware River. These daily trips to the river have been providing a great opportunity to the Kids of Camden who may not be able to experience fishing. We can also see that the benefits of this are not just the new experiences but the influence it is having on the kids lives. "I like fishing at camp because we have to do a lot of waiting. While I wait it gives me time to think about my anger and why I am angry. But then the moment I catch a fish, I forget that I was ever angry today." This week we said farewell to our much loved StreetLeader Natasha Santiago. Nati has gone off to The College of New Jersey (TCNJ) with a full ride and she will be missed greatly around UrbanPromise. 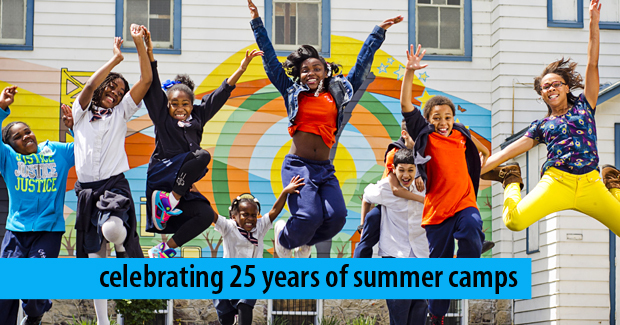 It's Our 25th Summer Camp Season! I love the first day of summer camp. And this year, I'm even more excited as we celebrate our 25th anniversary in the city of Camden. The beginning of camp always begins the same way for me: I get in my car, drive to each of our eight camps, meet parents, watch interns adjust to their new roles nervously, listen to energetic children exhaust their lungs while singing, and watch our StreetLeader teens assume new levels of leadership. This last part is my favorite. 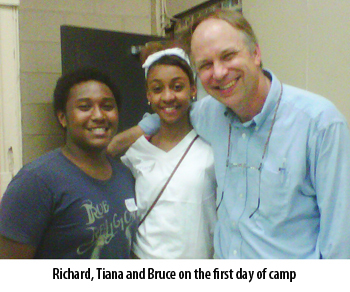 Take Richard and Tiana, for example--they embody the UrbanPromise vision. Richard started as a camper when he was five, became a StreetLeader at 14, and now serves as a field supervisor at age 19. 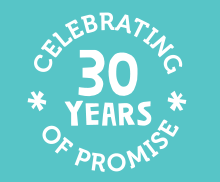 "Summers at UrbanPromise mean the world to me. I can't stay away," Richard told me. Tiana, age 14, just graduated from 8th grade at our CamdenFoward School. This is her first job and first summer as a StreetLeader. "I've waited six years to work here," Tiana said. "As a camp kid I couldn't wait until I was old enough." She's finally made the move from camper to leader. Our 25th summer will be special for several reasons. Each day, more than 500 children and teens will enjoy healthy, free breakfast and lunch, recreation, Bible time, arts and crafts, and trips to the swimming pool and rollerskating rink. More importantly, 100 teens and young college-aged students will learn leadership by directing camp activities and mentoring the younger children in their communities. And I will watch them grow in their faith, vision, and capacity to impact and motivate the next generation of Camden's children to do the same. P.S. 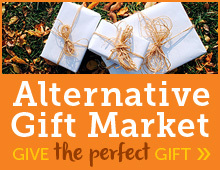 Click here to sponsor a child so they can participate in on of our FREE summer camps in the city!